Tour Description: Upon arrival at Beijing airport, be picked up by our tour guide, who will hold a sign with your name on for you to recognize. Drive to the Mutianyu Great Wall, which boasts beautiful landscape and less crowded than other great wall sections. 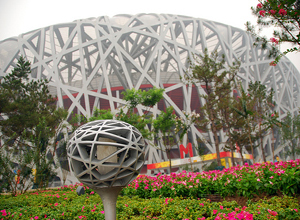 Drive to the Olympic Green, where you can take photos with the modern Bird’s Nest and Water Cube. Arrive in the airport; end of our service. Do you have evening tours? My flight arrives in Beijing at 20.45 and leaves the next day at 7.35. Sorry, your arrival time is too late. We do not have tours suitable for you. Hi! I arrive at 1030 and depart at 2345. Would I have enough time to do this tour? Yes, you will have enough time to do this tour. We just sent you an email about the tour details, please check. Yes, you will have enough time to do this tour. 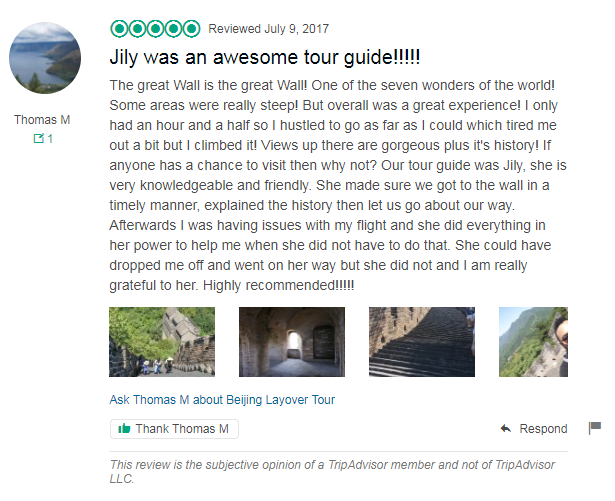 We just sent you an email about detailed tour itinerary with the timeline, please check it out.